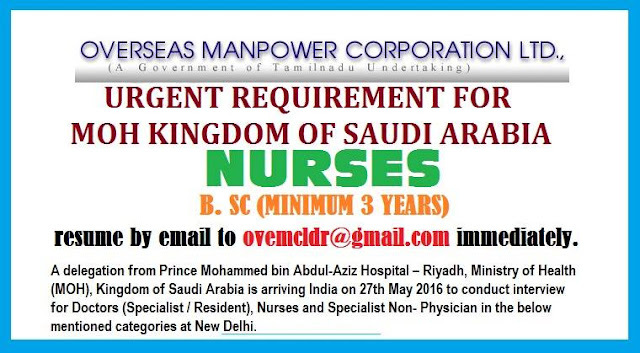 A delegation from Prince Mohammed bin Abdul-Aziz Hospital – Riyadh, Ministry of Health (MOH), Kingdom of Saudi Arabia is arriving India on 27th May 2016 to conduct interview for Doctors (Specialist / Resident), Nurses and Specialist Non- Physician in the below mentioned categories at New Delhi. Attractive salary with free food, accommodation & air ticket will be provided by the Ministry. Family Visa and Accommodation will be provided only for Doctors. 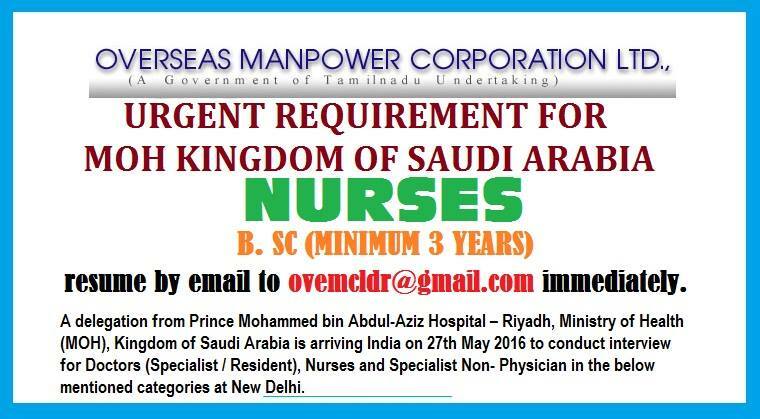 Interested Candidates may send their detailed resume by email to ovemcldr@gmail.com immediately.